Earlier in the week I had the pleasure of meeting up with some other Manchester-based bloggers at the first #WeBlogMCR meet, organised by the lovely Holly. We congregated at the fabulous Whim Wham Cafe in the city centre. The venue is such a little hidden gem; it describes itself as a 'Gin Saloon' and boasts loads of gin-based cocktails (we may have sampled a few of those...). The interior is also really cool and like an old Speakeasy inside. I noticed some flyers around the place advertising regular vintage clothing fairs taking place there too which I'll definitely be checking out. There were more bloggers at the meet than I expected and it was great to see loads of new faces who I've never come across on the Manchester blogging scene. I mostly chatted to Emma, Cat, Jess, Laura, Claire and (another) Cat; thank you for being super friendly girls. I had such a fun evening and even won a prize for social media activity on the night which was a voucher for City Spa Escapes- I can't wait to book in! I didn't stay as long as I'd have liked as I wasn't feeling too well but it meant that with these light nights we're having, I was able to take a few snaps of my outfit outside. I'm loving this choker from ASOS with little 90s-style moon and sun charms. I'm sure you'll soon get fed up of seeing it around my neck, i think it's going to be a firm favourite. Must admit I've had a fair bit of stick for this hat! 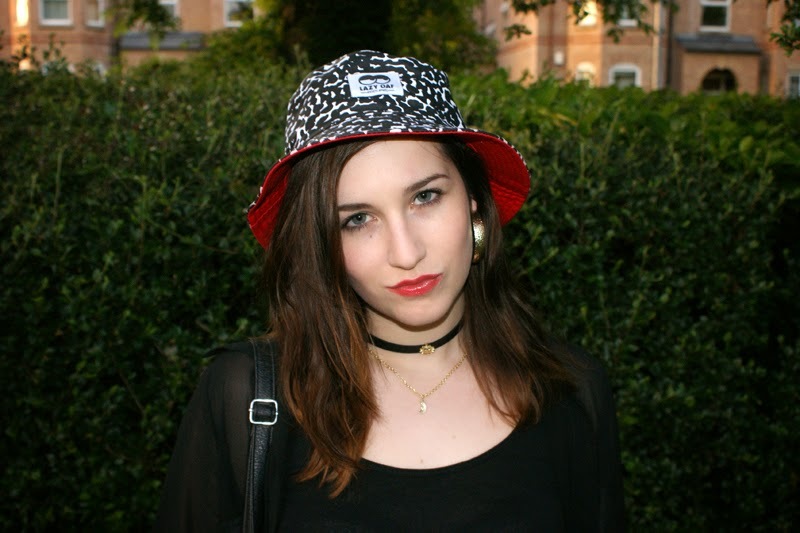 I don't know about you but I'm loving the bucket hat trend; long may it continue. Adding a touch of Kevin and Perry can never be a bad thing in my book. 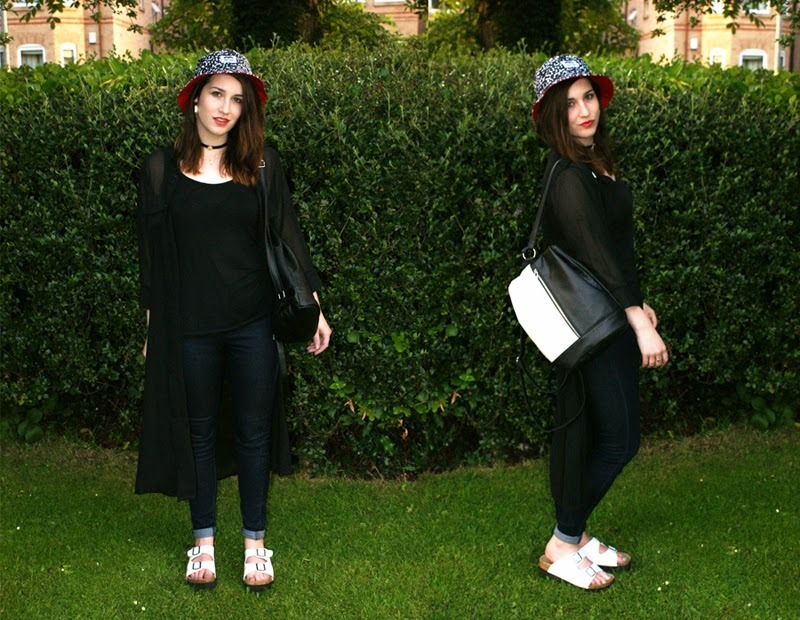 Would you rock a bucket hat this summer? That totally works for you. I usually stick to turbans.